Wordtracker research to get the right keywords. If you have a specific campaign in mind, or want to gather more detailed information about the search terms that people use to find you and your services to support the creation of new pages on your website, then you need to carry out in-depth Keyword research. Hypnotherapy Websites has an on-going account with WordTracker and can carry out a detailed analysis on any Search Terms or Phrases with the most accurate and up-to-date information on the search frequencies. The whole point of having a website is so that people can view your products and services and you can generate business. The fact of the matter is that in today’s competitive world, not having an on-line presence is commercial “suicide”. If you’re going to have a website then, it needs to work for you rather than just be a collection of pretty pictures. To understand the importance of Keyword Research you need to understand how the Search Engines index and “serve” your site to potential users. When you enter a “search phrase” into Google, or any of the main Search Engines, the first things that happens is that Google checks its “index” of webpages to see if there is an “exact match” for the phrase that has been entered. 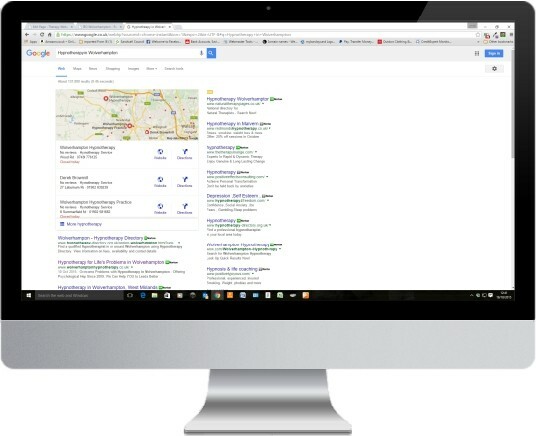 The familiar Google Results page showing the most relevant and well optimised pages that meet the search criteria. Once it finds a webpage with the Keyphrase or Keyword in it’s own index, it then produces the familiar “results page” with the most “important”, “well-optimised” and “most relevant” pages it can. The pages at the top (excluding the ones with the “Advert” sign which shows that the website owner has paid to have the result shown here) represent those webpages that meet the criteria highlighted above. The question is; which keywords are most likely to get you shown in the top results? This is where Keyword Research is so important. It’s incredibly easy to be “number one” in the results pages for a Keyword Phrase that nobody ever searches for! You need to identify those Keywords and phrases that are searched for frequently which are not so common that every website owner is competing for them. If you want to compete with these very common Keywords then be prepared to spend vast amounts of cash in the process – most of the websites that rank highly for those Keywords have almost certainly done just that. By using our Wordtracker facility, we can help you to identify “frequently searched phrases” that have lower levels of competition and so therefore present the opportunity of ranking more highly in the search results. The cost of this facility is a single, one-off payment of £75 for which we will send you a list of the 20 most important Keywords and Phrases which you can then use to build new pages for your site. If you would like to learn how to take advantage of this Keyword Research we can also offer WordPress Training and SEO Training as well! If you would like to purchase this facility simply click on our PayPal payment button below. As soon as we receive the payment we will contact you by e-mail to ascertain the details of the Keyword Research you would like us to carry out for you. 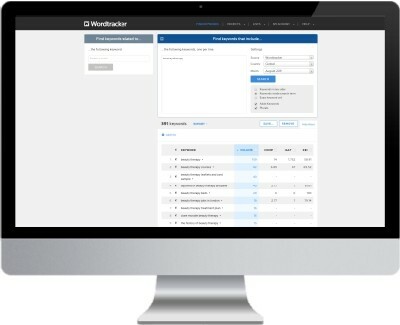 This payment button will take a single payment of £75 for Wordtracker Keyword Research. We will contact you regarding your requirements after payment is received.